What are Invisalign® Clear Braces? Want straighter teeth without the hassle? Invisalign treatments help BC residents straighten their teeth without wires and brackets, using clear, customized, removable aligners. Orthodontic patients often choose to have their teeth whitened after their treatment. Here, our Maple Ridge orthodontists explain why. Our Langley orthodontists advise against oral piercings whether or not you have braces, because there are so many health risks associated with them. But if you do have braces, there are some additional risks associated with oral piercings. Invisalign orthodontic aligners can be removed, allowing patients to brush and floss and clean their aligners separately. Here's how to keep your Invisalign aligners sparkling. 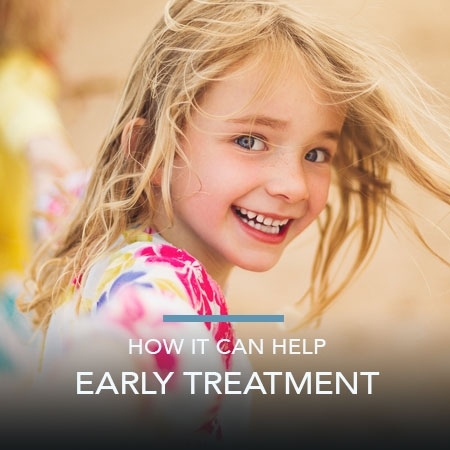 During your orthodontic treatment, you will have to pay regular visits to your orthodontist so that he can monitor your progress and make sure everything is going as planned. Your braces will cause some soreness an irritation to the inside of your mouth when you first get them, until your mouth gets used to them. These ideas and products will help you cope in the meantime! Healthy baby (primary) teeth allow children to chew and digest their food efficiently, and contribute significantly to their oral development as they grow up. Lingual braces are hidden from sight because they are placed behind the teeth.“Translucent” braces, made from a tooth-coloured ceramic, blends in with the colour of your teeth. We hope the information provided here will help you decide which of these options would be best for you! What with school and jobs, most orthodontic patients lead busy lives that keep them away from home throughout the day. The following are some essential or just plain practical supplies you should keep on hand to care for your braces when you're “on-the-go”. 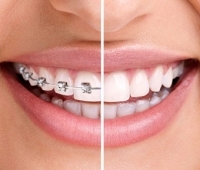 Braces need a lot of careful cleaning, since they create more crevices for plaque to build up in. An electric toothbrush can really help to make brushing your teeth with braces easier and more effective.